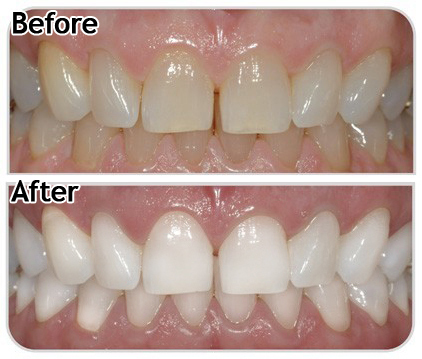 Tooth whitening (bleaching) is a simple, non-invasive dental treatment used to change the color of natural tooth enamel and is an ideal way to enhance the beauty of your smile. At your second appointment, you will try on the trays for proper fit, and adjustments will be made if necessary. The trays are worn with special whitening gel either twice a day for 30 minutes or overnight for a couple of weeks depending on the degree of staining and desired level of whitening. It is normal to experience tooth sensitivity during the time you are whitening your teeth, but it will subside shortly after you have stopped bleaching. You will receive care instructions for your teeth and trays, and be encouraged to visit Dr. Valdez regularly to help maintain a beautiful, healthy, white smile.